All around the world, engineers are pushing the limits of ingenuity and innovation in unexpected, imaginative, and amazing ways. Dream Big: Engineering Our World, a giant-screen film about engineering, takes viewers on a journey of discovery from the world’s tallest building to a bridge higher than the clouds. Along the way, the audiences witness how today’s engineers are shaping the world of tomorrow. In partnership with MacGillivray Freeman Films, and presented by the, Bechtel Corporation., ASCE is proud to present Dream Big: Engineering Our World. Find a theater screening Dream Big near you. Dream Big is playing in museums and science centers around the world. See the film in your area! Museums and science centers with giant screen theaters around the world are eager to work with engineers to promote the film, enhance established programs, develop new programs, and more. 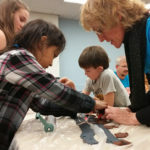 Read the Engineer's Guide to Working with Museums (PDF) for tips, ideas, and instructions on how to connect with a museum or science center near you. Six programs have been created by DiscoverE, the official educational partner for Dream Big, to help you inspire interest in engineering using the Dream Big resources. From Engineers Week activities and events to workshops, festivals, and more, find an exciting program to get involved with. Girls Night Out is an opportunity for engineers to inspire girls to pursue engineering careers. The Planning Guide contains step by step guidance on everything from messaging, suggesting activities, and volunteer recruitment. Whether you are an ASCE Region looking to bring together your Section and Branches or a Younger Member Group in search of more leadership opportunities, ASCE has mapped out ways for local groups to get involved in the Dream Big Experience. See recommended volunteer activities for ASCE local groups (PDF). ASCE groups in areas where the film is not showing may host a local screening. Download and submit a reservation form (PDF). Have questions about planning your event or getting involved? ASCE is here to help. 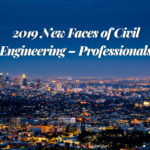 Email us at civilengineersdreambig@asce.org. 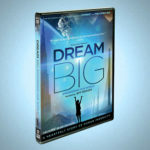 Watch the Dream Big Trailer! Get inspired and watch the trailer for Dream Big: Engineering Our World. Then, listen as ASCE members share their dreams for the future of the profession! Every child should Dream Big. Together, we can make that possible. ASCE and Bechtel, with generous support from the United Engineering Foundation, have set an ambitious goal: to put a copy of he Dream Big film and educational toolkit in every public school in America.